Fueling Russian and Chinese fears are intelligence reports stating that Israel has moved over three-quarters of its Naval Forces through the Suez Canal and has assembled over 30 of its US-built fighter jets in Kurdistan for a planned attack using American made “bunker busting” bombs and nuclear armed cruise missiles. 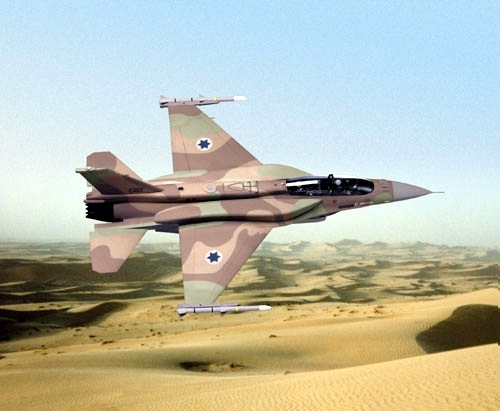 Russian Military Analysts state in these reports that Israel first plans to use its US-built fighter jets to target Iran’s nuclear facilities, and upon a combined Iranian and Lebanonese Hezbollah “response”, that is said will “rain missiles down upon Israel”, Israeli submarines and surface vessels with unleash nuclear armed cruise missiles against Iran’s military, religious and political infrastructure. “Israel's recent deployment of warships across the Red Sea should be seen as serious preparation for an attack on Iran, an Israeli defense official told the Times of London on Thursday. President Bush had become so alarmed over Israel’s plan to attack Iran that in an unprecedented move, just prior to leaving office, he refused the Israelis “secret request” for 1,000 of the American bunker busting bombs they wanted, but, Israel had obtained 100 of these dreaded weapons in a 2005 deal with the Pentagon. Upon Obama assuming the US Presidency, Israel’s Prime Minister gave the American leader a stark warning that “Either you take care of Iran-quickly-or I will”, a challenge that Obama, while in Russia last week, slapped down by warning that the United States is “absolutely not” giving Israel a green light to attack Iran, a curious statement, however, when viewed in the light of the American Vice President Biden stating just days before that “Israel is free to do whatever it deems necessary to remove the Iranian nuclear threat”. 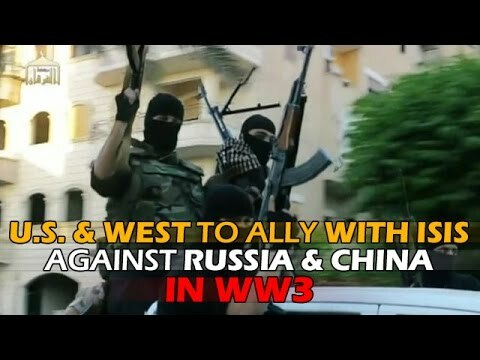 Fueling Russian and Chinese fears over Israel’s planned attack on Iran, these reports continue, is the Jewish states planned use of Iraqi territory from their Kurdistan region which borders Iran, and which this past week furthered its goal to become an independent Nation with the adopting of a new constitution, and with its Israeli trained army can expect an “immediate” invasion from both its sworn enemies Turkey and Iran. Even worse, Syria’s leader has reportedly warned the US that upon Turkey and Iran declaring war upon Kurdistan and Israel it would “no choice” but to honor its defense agreements with the Iranians calling for their Nations to protect each other in times of peril. Further complicating this mess is Turkey’s membership in NATO, and which under that alliances agreement calls for the United States and Europe to join with the Turkish military in fighting against what in essence would be their own allies of Israel and Kurdistan. Not being known to the American people is that while their Military Forces have been fighting in Iraq, the United States and Iran have longstanding agreements allowing the Iranians to shell Iraqi Kurd territory without fear of reprisal, an agreement that also includes Turkey who have battled against the Iraqi Kurds for decades. Most ominously in these reports though, both Russia and China state that they will have “no choice” but to place an “immediate embargo” against any oil and gas coming from the Middle East and weapons to the region the United States may try to supply. China further states in this warning that upon an Israeli attack upon Iran they will “immediately cease” to purchase any more US debt, and with the American deficit hitting $1 Trillion for the first time in their history, and with it expecting to exceed $2 Trillion by the end of the fiscal year on September 30th, a particually grave threat being that China’s $2 Trillion in reserves are the only thing keeping the US economy afloat. Russian Intelligence Analysts further report that the long-serving head of Iran's Atomic Energy Organization, Gholam Reza Aghazadeh, resigned today over fears for his and his family’s safety upon an attack by Israel upon the Persian Nation. What is not known at this time, these reports summarize, is if Israel’s Iron Dome missile defense system, which the Israelis report has been “successfully tested”, would be able to withstand the estimated 6,000 plus missiles expected to be fired at it by the combined powers of Iran, Syria and Hezbollah. 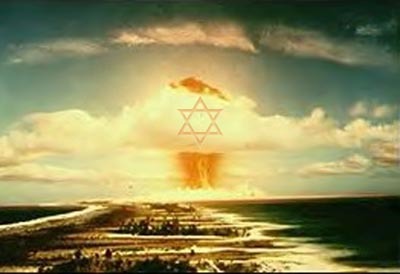 But, to Israeli war leaders believing that upon the conventional destruction of Iran’s nuclear facilities, the Persian Nation will “sue for peace” rather than be hit by nuclear weapons, these reports state, unequivocally, that Iranian leaders are “fully prepared” to engulf the entire World in “brutal fire” rather than to ever “kneel down” before the “Zionists” they have long stated have no right being in the Middle East in the first place.